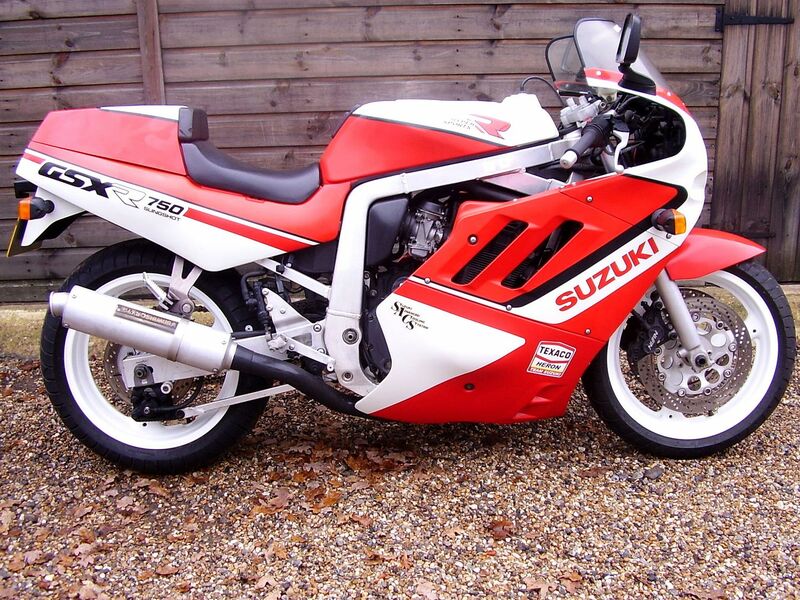 £ 5995, Suzuki GSX-R 750-J ‘Slingshot’ (UK bike, Restored 2015, Very original) 1989 F Reg. 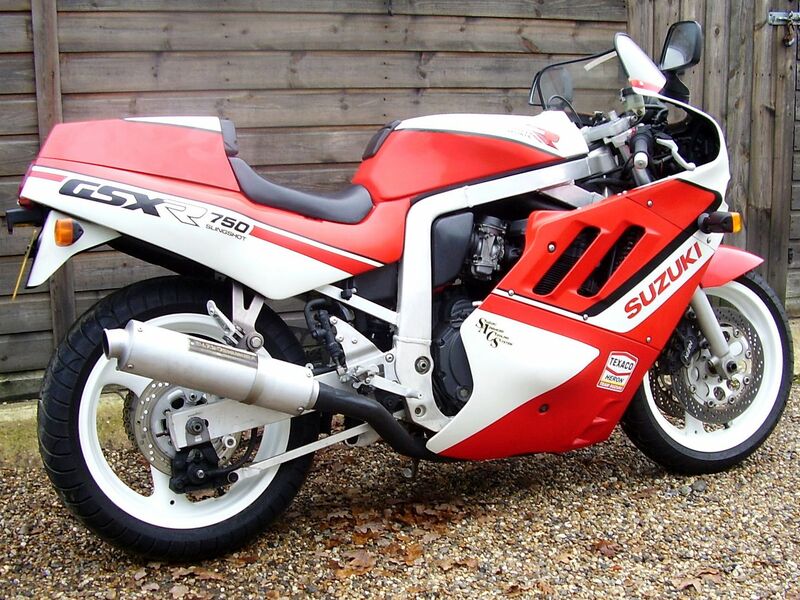 Very rare to find UK supplied Suzuki GSX-R 750-J ‘Slingshot’ in Red/White. 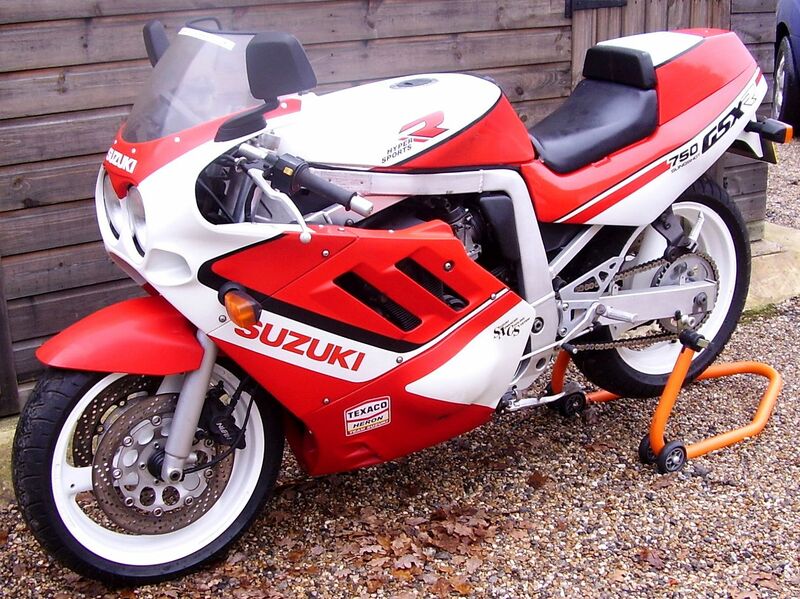 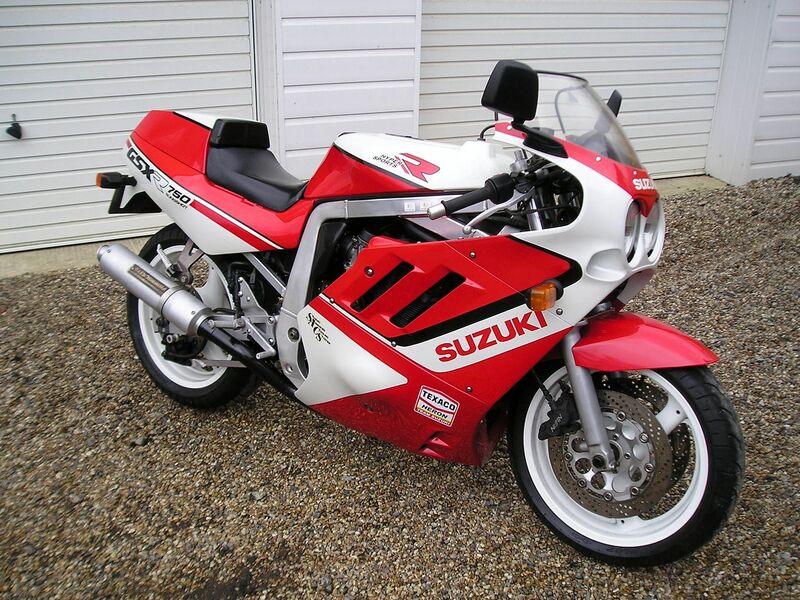 UK supplied through Heron Suzuki GB network by The London Suzuki Centre and registered April 1989 on an ‘F’ prefix, this is a lovely example of a GSX-R 750-J ‘Slingshot’, that is extremely original, and retaining all it’s key original specification. 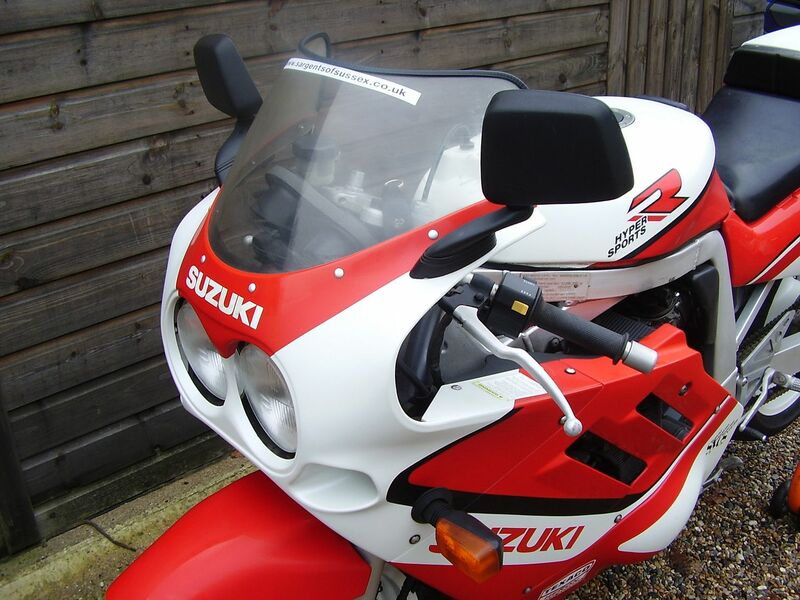 Just 5 owners from new, including us, we have full ownership provenance for the bike with full details for each and every owner from new. 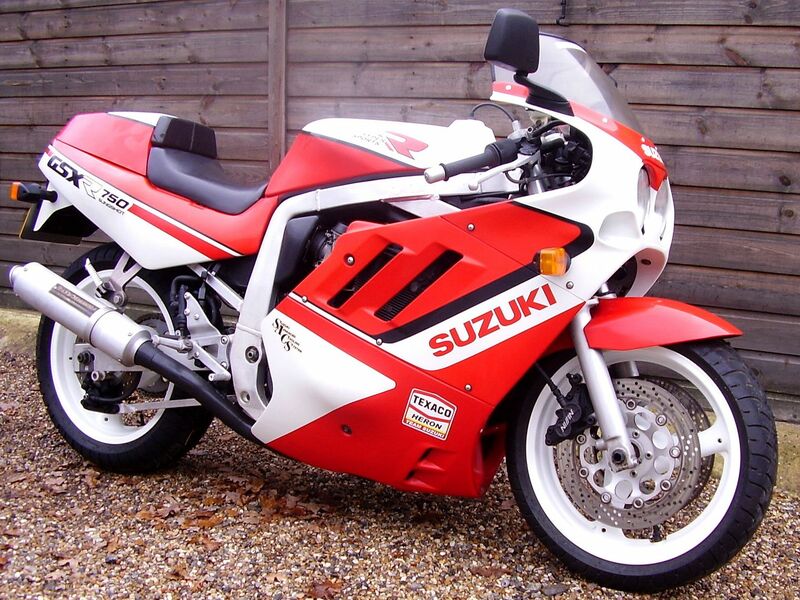 Significantly, it had just one owner for the 23 year period between 1992 and 2015 and was barely used during this time. 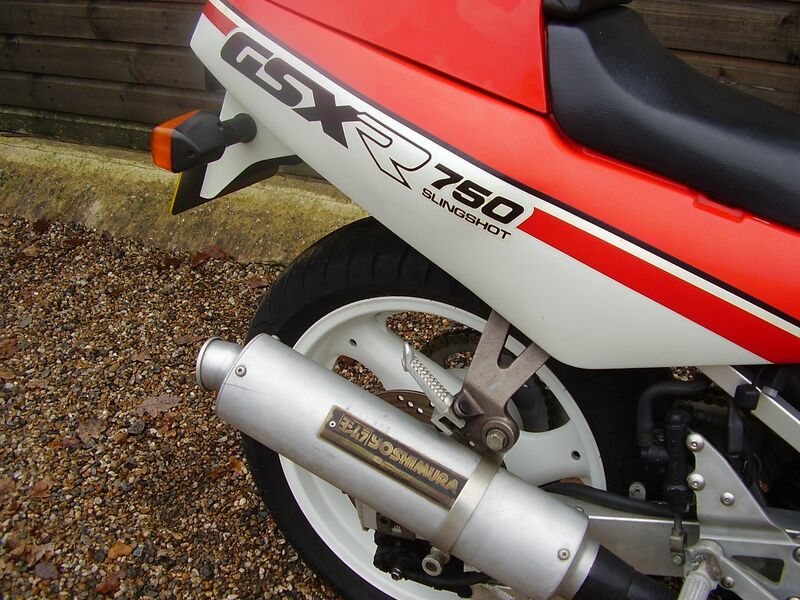 The mileage of 15000 is believed to be genuine. 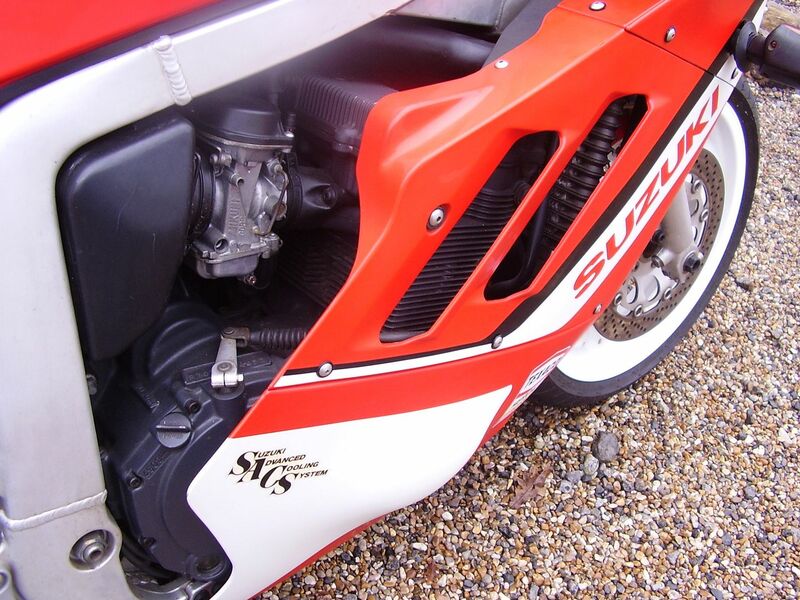 Then purchased by a motorcycle restoration business, the bike’s all original painwork was in good order, with only minimal attention required. 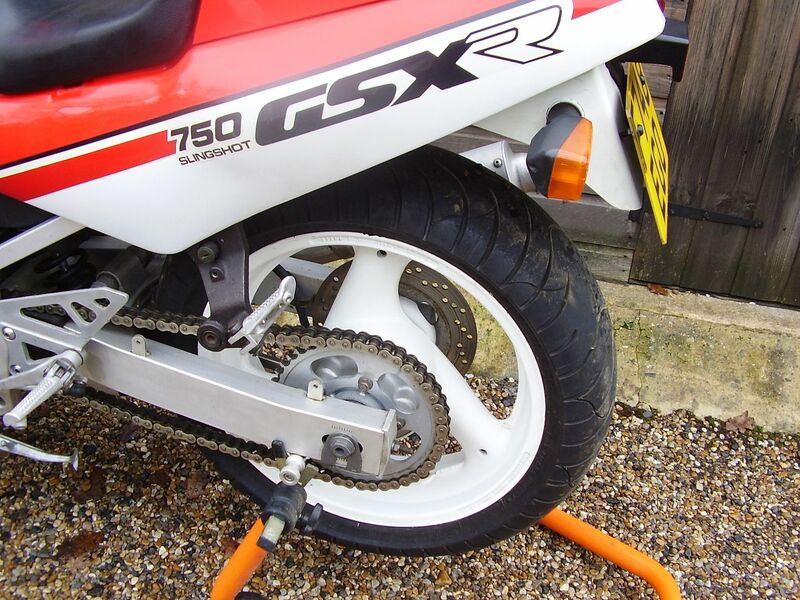 However, the bike was subject to a comprehensive mechanical overhaul including (briefly) new wheelbearings, chain/sprockets, forks stripped/rebuilt/all new seals and re-satinised, rear shock stripped/rebuilt/painted, wheels powdercoated, yokes stripped/refinished/new bearings, carbs/stripped/cleaned/rebuilt with Dynojet 3 kit, all suspension linkages stripped/cleaned/regreased and levers/footpegs/hangers stripped and re-satinised. 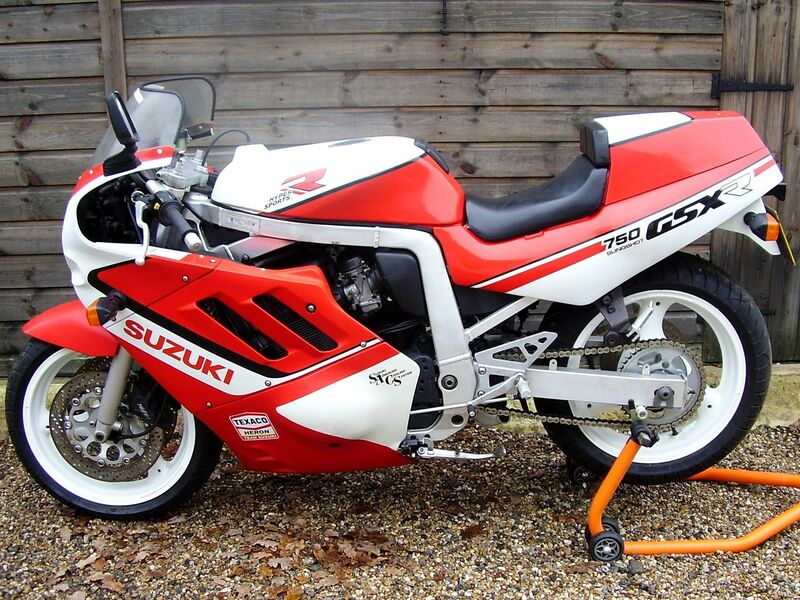 We bought the bike from the restoration company in 2015, to go with our own personal collection of bikes. 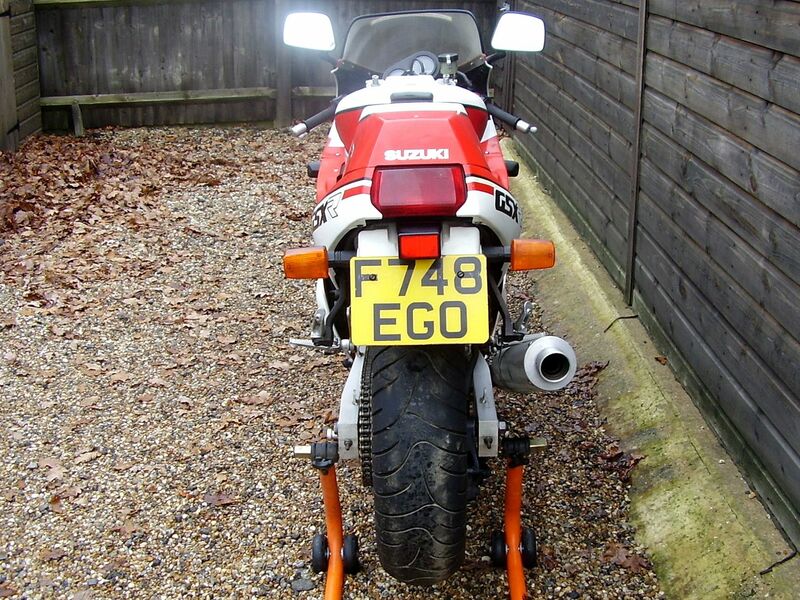 The bike is totally fit and healthy, and just rides beautifully. 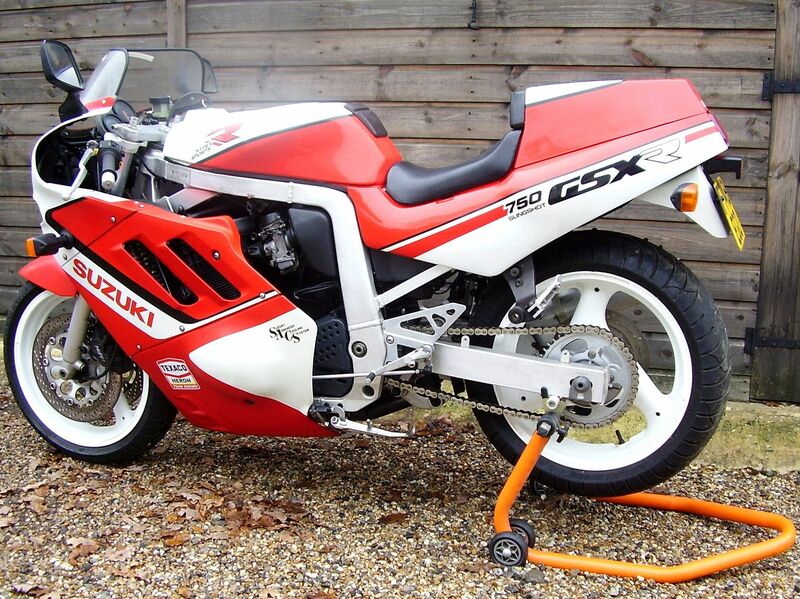 Properly quick, and just sounds utterly superb. 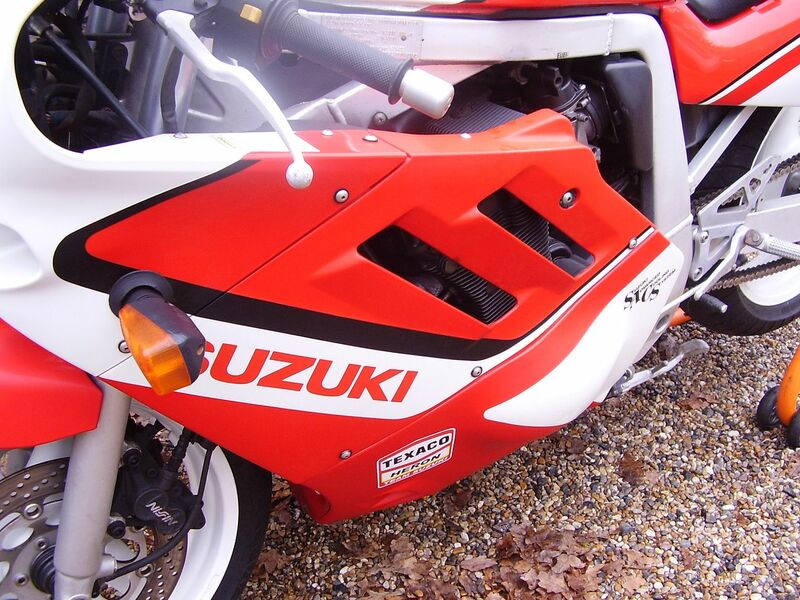 Recently had Motul 5100 10w/40 semi synthetic oil and filter and it will have a new MOT provided at point of sale. 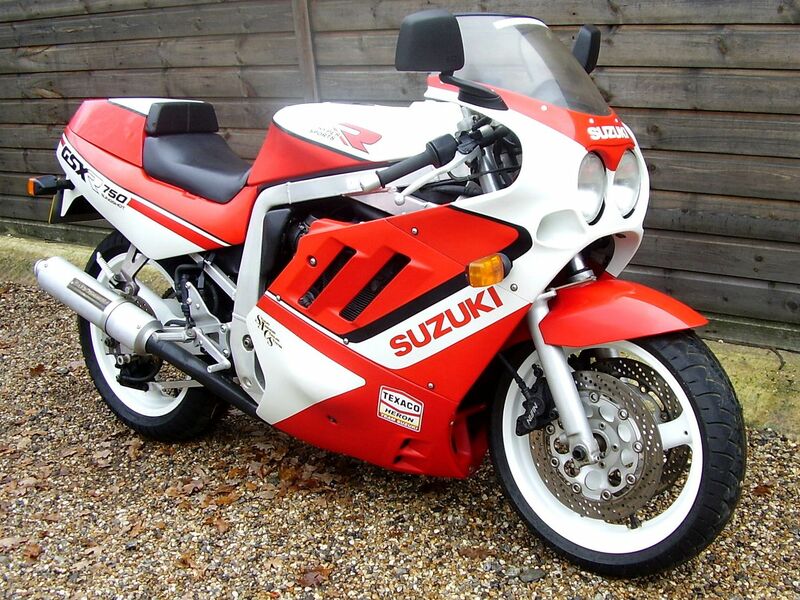 Anyone with an interest in these things will appreciate how hard it is to come by a bike like this nowadays, and it clearly presents a rare opportunity. 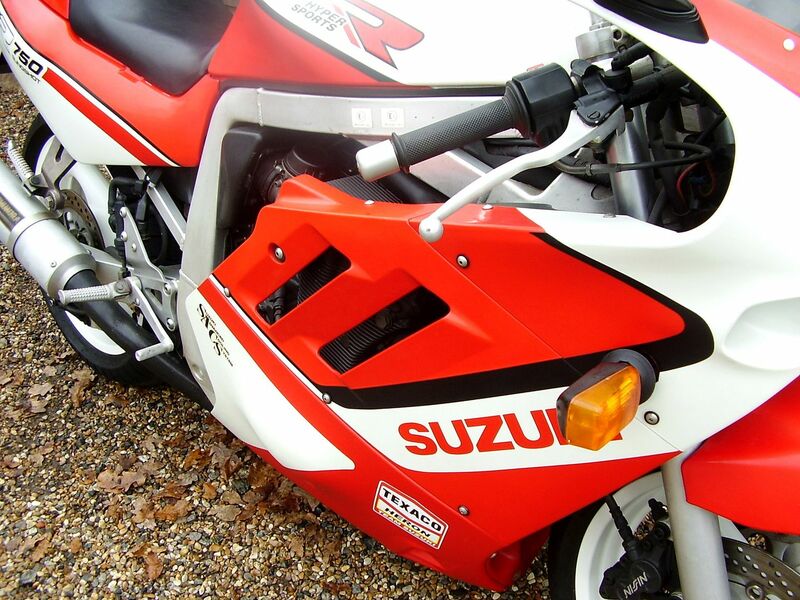 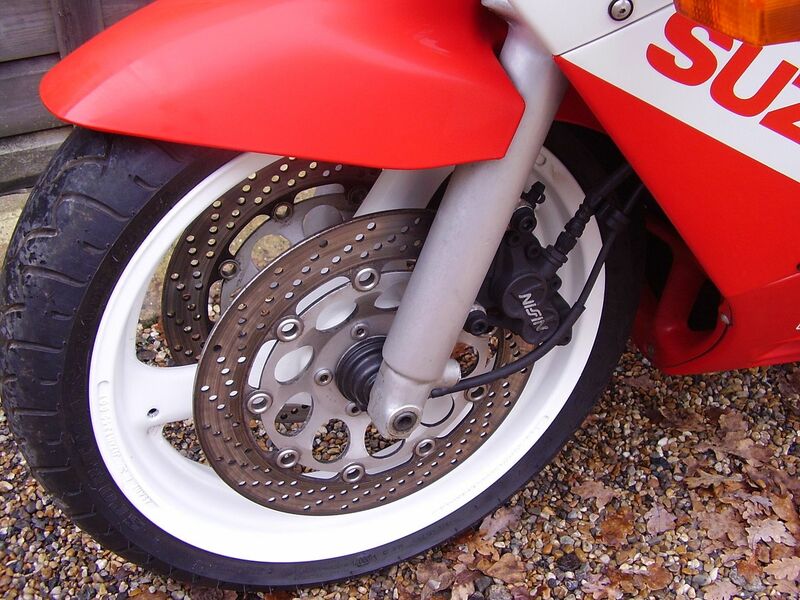 As a Heron Suzuki UK supplied bike, and with known ownership provenance from new, it sets itself apart very clearly from the more common imported machines of which generally next to nothing is known of their previous existence. 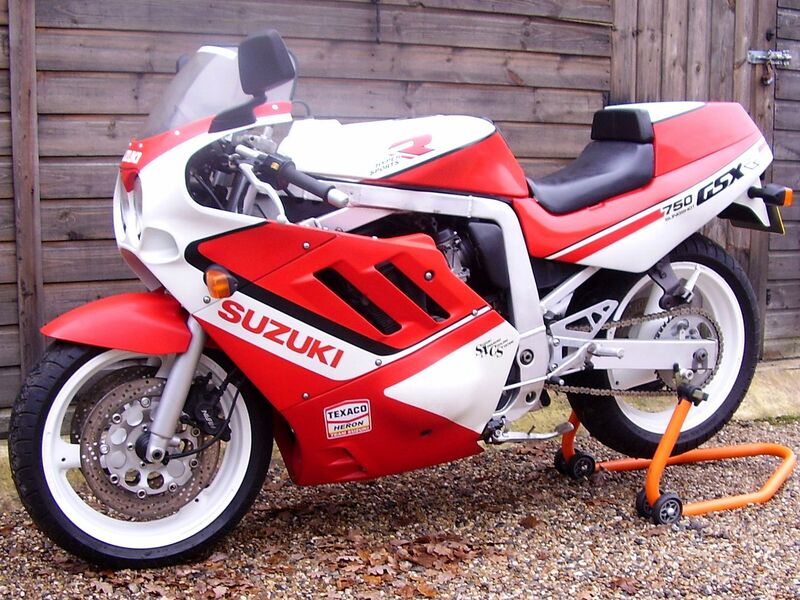 A useable classic to grace and enhance any collection. 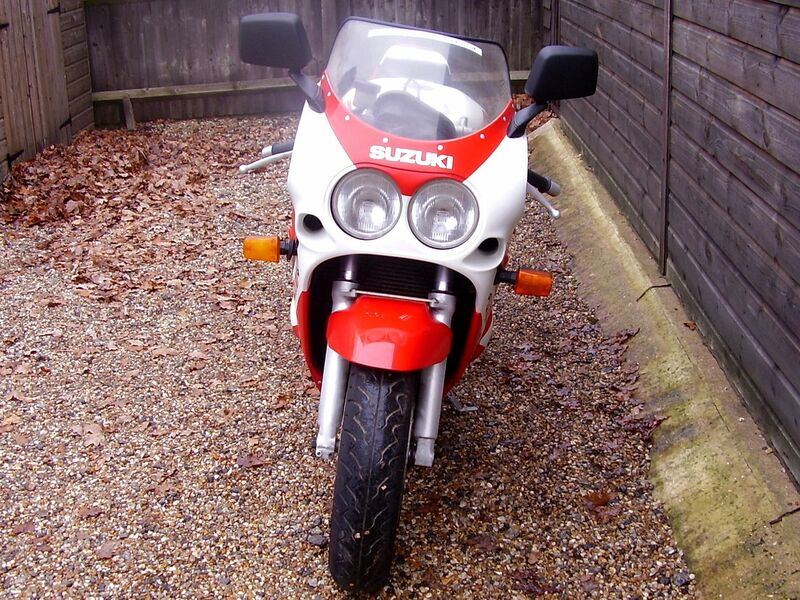 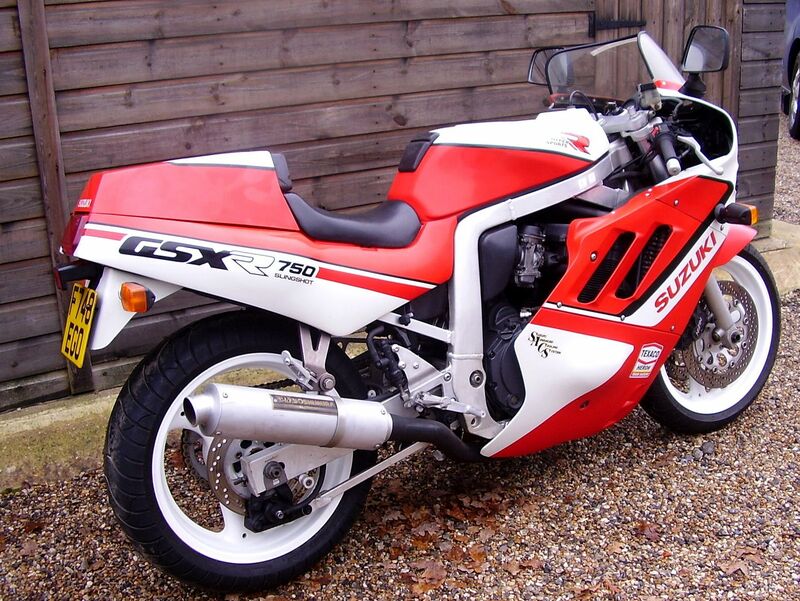 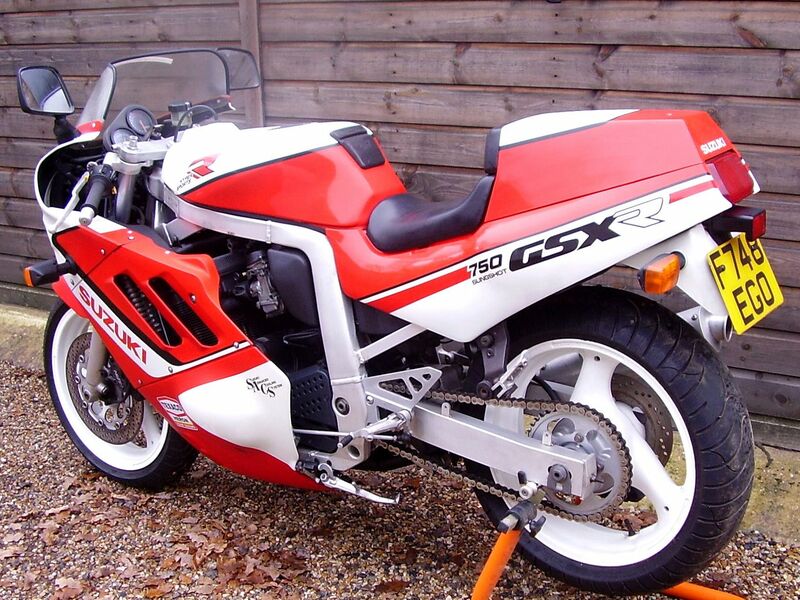 £ SOLD, Suzuki GS1000 E (UK bike, Lightly restored, Very original) 1979 V Reg.